Ola Doudin, a cofounder of Dubai-based Bitcoin platform BitOasis, thinks virtual currency can disrupt the financial world in the same way the internet disrupted the communications world. But with the world’s largest cryptocurrency still dealing with the fallout from the Mt.Gox breach, a lack of liquidity, and formidable competition from traditional financial services, usurping conventional currencies in established markets is a lofty business goal. That’s why Doudin and BitOasis aren’t waiting for Bitcoin to gain traction in mature markets—instead they’re attempting to grow Bitcoin in a region where it could be an intriguing fit: the Middle East and North Africa. 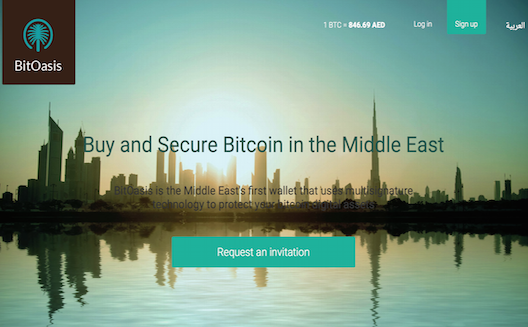 That thinking powered the launch of BitOasis this past January, making it one of MENA’s first Arabic-focused Bitcoin platforms. BitOasis’ roots go back three years, when an informal network of Bitcoin enthusiasts and entrepreneurs began gathering in a series of meet-ups in Jordan, Dubai, and Lebanon. From these meet-ups emerged four like-minded individuals who theorized that Bitcoin could offer MENA an alternative to existing financial services and potentially jumpstart a fledgling e-commerce sector—similar to how the M-Pesa flourished in Kenya. This compelled them to launch a digital platform including a Bitcoin exchange and a virtual Bitcoin wallet and allows users to send coins via Facebook. The exchange, which currently supports Emirates Dirham, Saudi Riyal, Jordanian Dinar, Lebanese Pound, Bahraini Dinar, Omani Rial, and Qatari Rial, allows users to buy BitCoins. BitOasis’ wallet then allows users to securely store their funds, protected by a decentralized security system that requires three “signatures” to complete a transaction, or Multisig—which is being lauded as the answer to BitCoin security issues, and will hopefully alleviate lingering fears of hacking. In order to hack a user’s bit wallet, an intruder would need to compromise two of these three keys simultaneously. And if BitOasis were to go offline or bankrupt, there’s a recovery key available to unlock and retrieve a user’s funds. But bankruptcy might not be in the cards for these former underground BitCoin enthusiasts. In six months since launching, BitOasis has attracted 15,000 users across MENA, compelling the startup to seek seed funding while simultaneously beginning plans to eventually introduce merchant services as part of the platform. “It’s a fast-growing, young market, internet penetration is growing fast as well, so these are all factors that make it right to adopt financial technologies, specifically with Bitcoin,” says Doudin. 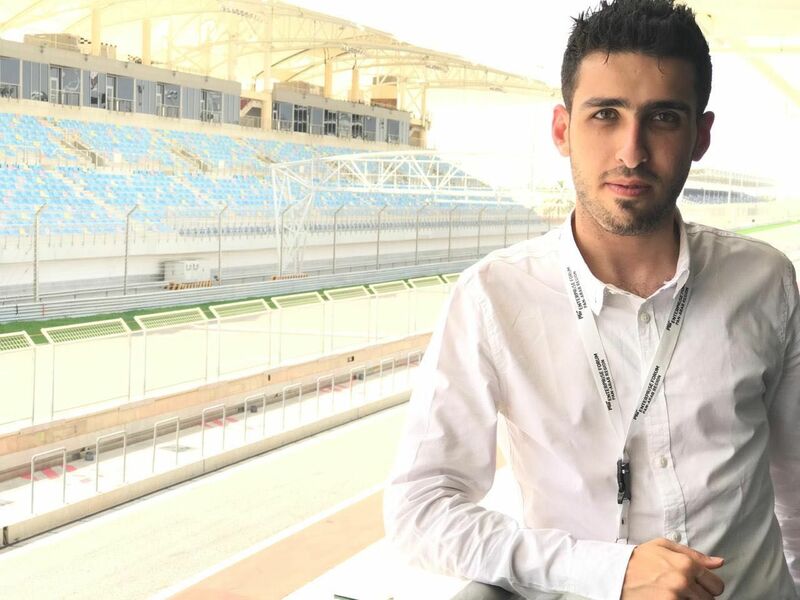 Doudin believes the platform’s popularity is because digital currency offers users solutions to many of the problems facing individuals in MENA’s unique financial atmosphere. First, 67 percent of adults in MENA are unbanked. This is either because of a lack of reach by banks into their area, a lack of documentation necessary to open a bank account, or a simple wariness of entrusting banks with both large sums of money and personal information. This is why the folks at BitOasis think virtual currency presents an enticing alternative to mainstream financial services. There’s no intermediary controlling a person’s funds—Bitcoin is private and storing funds in a virtual wallet is essentially like storing money in a physical wallet. “It’s as private as cash,” says Doudin. And like a physical wallet, it needs protection from pickpocketing—hence BitOasis’ Multisig security system. Doudin also thinks Bitcoin is an attractive option for MENA because it offers a superior way of sending remittances. And since MENA features some of the largest remittance corridors in the world, Bitcoin gives workers accustomed to hefty transaction fees a cheaper way to wire funds internationally. The fee for sending a remittance using Bitcoin would amount to roughly 1 percent (for exchanging the currency), says Doudin. Sending the Bitcoins is free—like an email. The same transaction with a bank would cost an average 13 percent of the total amount. International borders aren’t a roadblock when moving funds with Bitcoin. One reason so many people in MENA are unbanked and suffer expensive transfer fees, Doudin explains, is because regional financial institutions don’t face any competition and have no incentive to change. But with the saturation of internet-compatible devices rising in MENA, Bitcoin’s reach is as close as the nearest wifi router. And BitOasis’ launch may have been perfect timing. In 2015, Doudin says, Wall Street and venture capitalists have finally started paying closer attention to digital currency. Investment banking firm Goldman Sachs recently invested in a Bitcoin startup, and Nasdaq recently announced a partnership with Bitcoin startup Noble Markets. The first quarter of 2015 saw the highest venture capital investment total yet, at $226 million, pushing total venture investment in Bitcoin to $676 million. 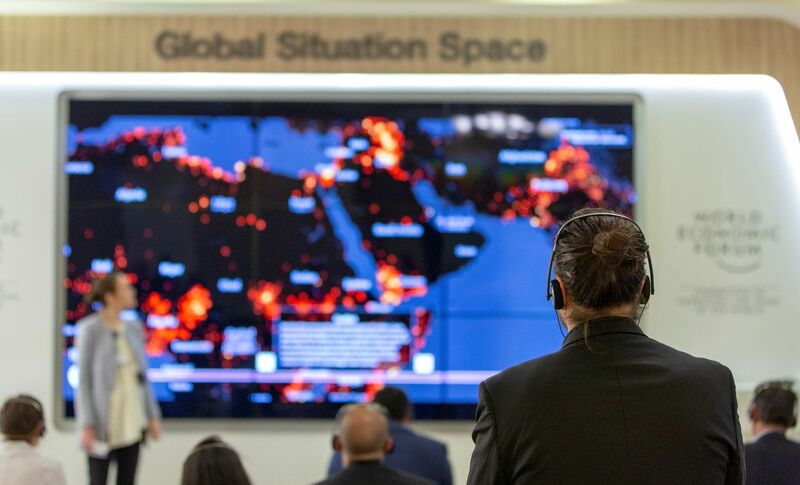 “It doesn’t mean that this technology will work in the Middle East, but it does give us some assurance that this technology isn’t going anywhere,” says Doudin. Doudin and BitOasis know disrupting the world of financial services won’t be easy, but they’re banking on Bitcoin being just the catalyst MENA needs.